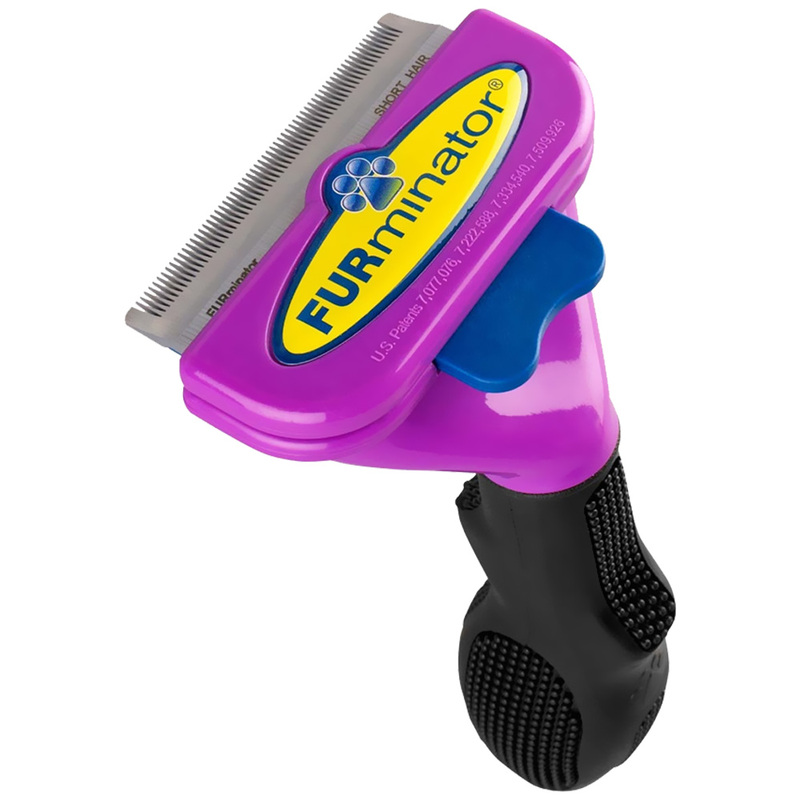 FURminator Short-Hair deShedding Tool for Large Cats is a deShedding Tool for cats with coats less than 2 inches. This Furminator features patented deShedding edges designed to reach beneath short topcoat to gently remove undercoat and loose hair. For short hair cats over 10 lbs. Can this also be safely used on a short haired dog? I have both a cat and dog. Thanks! Hi Tiara, Great question! The FURminator Short-Hair Deshedding Tool for Large Cats can be used on most animals that shed, including dogs, cats, and other pets with an undercoat. However, the FURminator deShedding tool should not be used on non-shedding breeds or on pets with sensitive skin.